Sculpted with the tranquil majesty of those in ancient monasteries, this three-dimensional work of decorative Asian art creates a meditative niche for home or garden. A rough-hewn, deep bas-relief sculpture, this substantial, Toscano-exclusive is cast in quality designer resin and finished in faux stone for authenticity. 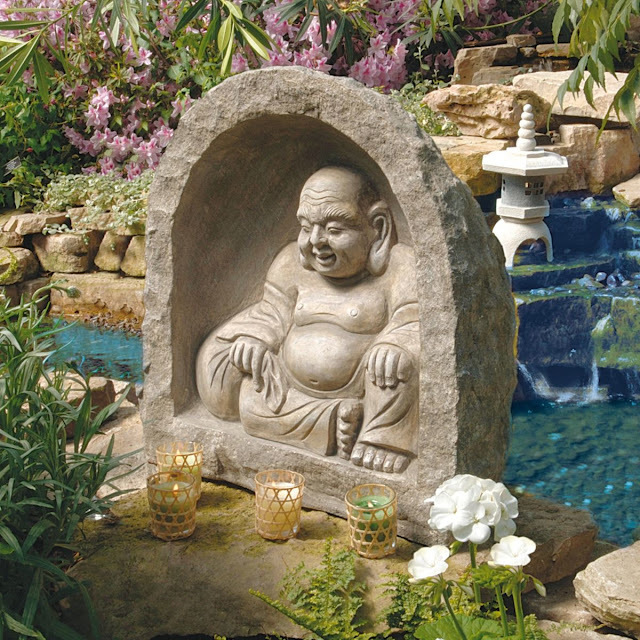 Wherever the gentle Buddha finds a home, this spiritual tribute deserves a place of honor.